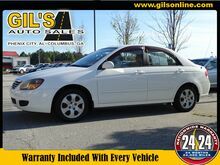 Get ready to go for a ride in this 2009 Kia Spectra LX, which comes equipped with a dual airbags, side air bag system, and airbag deactivation. This one's on the market for $7,995. This 4 dr sedan scored a crash test safety rating of 4 out of 5 stars. Rocking a stunning white exterior and a gray interior, this car is a great pick. Interested? Don't let it slip away! Call today for a test drive. 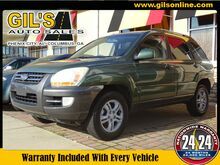 Equipped with a anti-lock brakes, dual airbags, and airbag deactivation, this 2006 Mazda Tribute i is a must for smart drivers everywhere. This one's a deal at $8,995. With a 4-star crash test rating, this is one of the safest vehicles you can buy. Rocking a sleek beige exterior and a black interior, this car is a sight to see from the inside out. Don't regret waiting on this one! Call today to schedule your test drive. 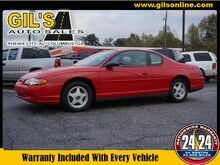 This 2004 Chevrolet Monte Carlo LS includes a dual climate control and is a car that deserves some serious attention. It comes with a 6 Cylinder engine. This one's on the market for $9,995. With an unbeatable 4-star crash test rating, this 2 dr coupe puts safety first. Complete with a sharp red exterior and a gray interior, this vehicle is in high demand. Don't regret waiting on this one! Call today to schedule your test drive. 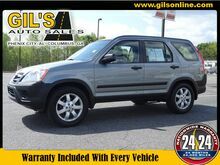 Outfitted with a stability control, traction control, anti-lock brakes, dual airbags, side air bag system, and airbag deactivation, this 2007 Kia Sportage EX is a true steal. It has a 6 Cylinder engine. This one's on the market for $9,995. With a 5-star crash test rating, this is one of the safest vehicles you can buy. Drivers love the gorgeous green exterior with a gray interior. Call today to test it out! 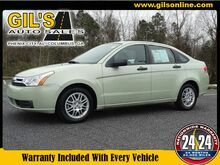 You'll love getting behind the wheel of this 2010 Ford Focus SE, which is complete with amenities such as a braking assist, stability control, traction control, anti-lock brakes, dual airbags, side air bag system, and airbag deactivation. This one's on the market for $9,995. Don't skimp on safety. Rest easy with a 4 out of 5 star crash test rating. Drivers love the stunning teal exterior with a gray interior. This is the vehicle for you! Give us a call today and don't let it slip away! 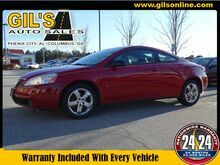 You'll love the look and feel of this 2006 Pontiac G6 GT, which features a traction control and anti-lock brakes. It comes with a 6 Cylinder engine. This one's available at the low price of $10,995. With an unbeatable 4-star crash test rating, this 2 dr coupe puts safety first. Rocking a beautiful red exterior and a black interior, this car is a great pick. Make your move before it's too late schedule a test drive today! 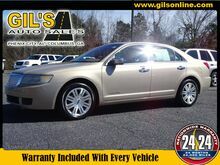 If you're looking for a smooth ride, look no further than this 2006 Lincoln Zephyr Base with a dual climate control, traction control, anti-lock brakes, dual airbags, side air bag system, and airbag deactivation. It has a 6 Cylinder engine. This one's available at the low price of $11,993. With an unbeatable 4-star crash test rating, this 4 dr sedan puts safety first. Rocking a sharp gold exterior and a gray interior, this car is a great pick. Call today to schedule your test drive! 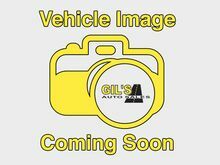 This 2015 Hyundai Accent GLS includes a braking assist, stability control, traction control, anti-lock brakes, dual airbags, side air bag system, digital display, and airbag deactivation and is a car that deserves some serious attention. This one's a deal at $11,995. Stay safe with this 4 dr sedan's 4 out of 5 star crash test rating. With a beautiful red exterior and a gray interior, this vehicle is a top pick. This is the vehicle you have been waiting for! Call now to schedule a test drive! This 2007 Nissan Altima 2.5 S is complete with top-features such as the push button start, dual airbags, side air bag system, and airbag deactivation. This one's on the market for $11,995. This 4 dr sedan scored a crash test safety rating of 5 out of 5 stars. 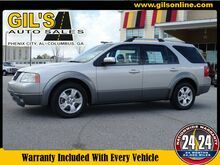 Complete with a suave gray exterior and a black interior, this vehicle is in high demand. Call and schedule your test drive today! 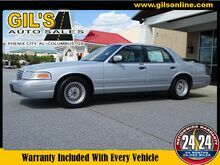 This 2000 Ford Crown Victoria LX includes a anti-lock brakes and is a car that deserves some serious attention. It has a 8 Cylinder engine. This one's a deal at $11,995. 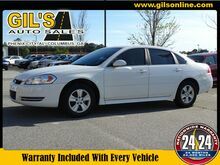 This 4 dr sedan is one of the safest you could buy. It earned a crash test rating of 5 out of 5 stars. Flaunting a suave silver exterior and a gray interior, this car is a sight to see from the inside out. This is the vehicle for you! Give us a call today and don't let it slip away! 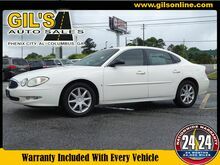 It doesn't get much better than this 2013 Chevrolet Impala LS Fleet, which boasts a stability control, traction control, anti-lock brakes, dual airbags, side air bag system, and airbag deactivation. It comes with a 6 Cylinder engine. We've got it for $11,995. With a 4-star crash test rating, this is one of the safest vehicles you can buy. Flaunting a dazzling white exterior and a black interior. Interested? Call today and schedule a test drive! 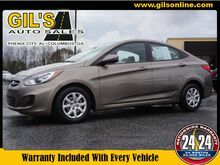 The braking assist, stability control, traction control, anti-lock brakes, dual airbags, side air bag system, digital display, and airbag deactivation of this 2014 Hyundai Accent GLS make this vehicle a true standout. We're offering a great deal on this one at $11,995. You can trust this 4 dr sedan because it has a crash test rating of 4 out of 5 stars! Rocking a sleek gray exterior and a gray interior, this car is a sight to see from the inside out. This is the vehicle you have been waiting for! Call now to schedule a test drive! People everywhere will love the way this 2007 Ford Freestyle SEL drives with features like a anti-lock brakes, dual airbags, side air bag system, and airbag deactivation. It has a 6 Cylinder engine. We're offering a great deal on this one at $11,995. Want a SUV you can rely on? This one has a crash test rating of 5 out of 5 stars! 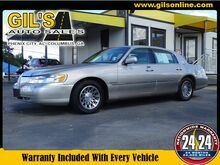 Exhibiting a ravishing silver exterior and a gray interior, this vehicle won't be on the market for long. Come see us today and see this one in person! 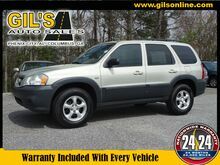 This Gray 2005 Honda CR-V LX might be just the SUV for you. We've got it for $11,995. With a dazzling gray exterior and a black interior, this vehicle is a top pick. Call today to schedule your test drive! 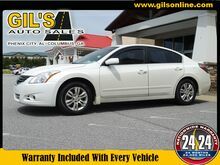 This 2011 Nissan Altima 2.5 S includes a push button start, stability control, traction control, anti-lock brakes, dual airbags, side air bag system, and airbag deactivation and is a car that deserves some serious attention. This one's on the market for $12,995. With a crash test rating of 4 out of 5 stars, everyone can feel secure. Flaunting a stunning white exterior and a black interior. This is the vehicle you have been waiting for! Call now to schedule a test drive! This BLACK 2013 Ford Edge SE might be just the crossover for you. It has a 6 Cylinder engine. This one's available at the low price of $12,995. Don't skimp on safety. Rest easy with a 4 out of 5 star crash test rating. The exterior is a charming black. Call today to schedule your test drive!